John McEvoy is more commonly known as Mezcal PhD, and his blog is a mainstay in the online mezcal community. Unlike most of the authors behind the mezcal books that have been hitting the shelves recently (and there are lots! ), John is not a professional writer. According to John, he has four passions (outside of his family): mezcal, fly fishing, fitness, and finance. Given those options, I’m guessing he works in finance and shares our affinity for liquid investments like mezcal. 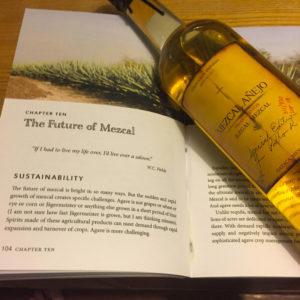 If you’ve read his blog, which we recommend, you’ve probably noticed that he’s got a good sense of humor and a positive outlook on the future of mezcal. Holy Smoke! It’s Mezcal! is no different. The tone throughout the book is very comfortable and at-ease, similar to a conversation with an old drinking buddy. It’s littered with well-timed puns and casual jokes, and his overall approach to the content is relaxed yet informative. 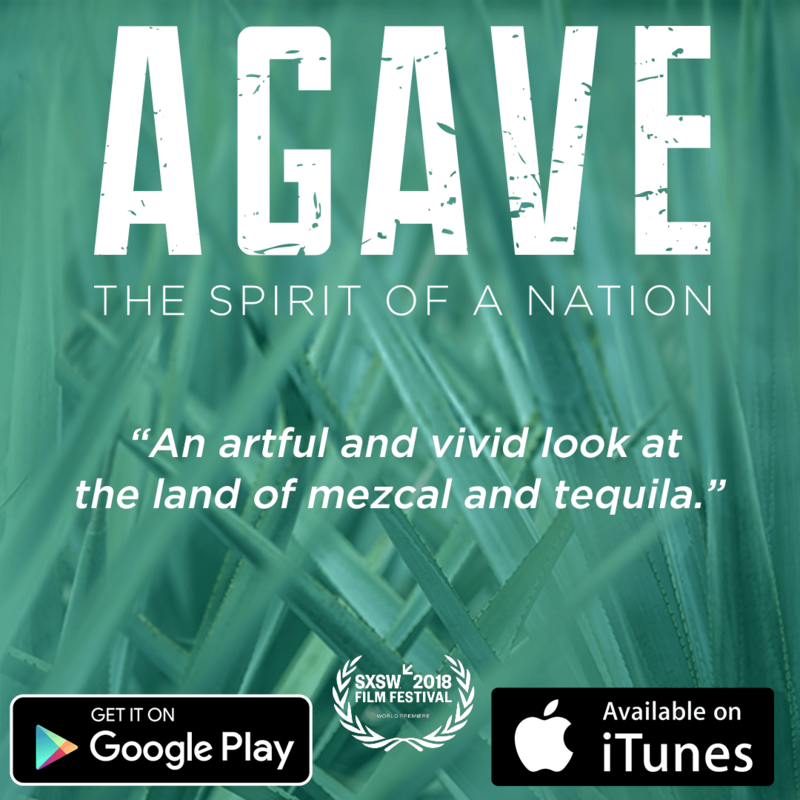 His ability to dive into more serious subjects, like agave sustainability, while making in-context wisecracks about Jägermeister is impressive. You get the impression, throughout the book, that John is easy-going and probably pretty fun to drink mezcal with. The author describing the growth cycles of agave and…Jägermeister? Mezcal and tequila are made in different areas of Mexico, though some areas overlap. Mezcal can be made from different varieties of agave while tequila can only be made from the Blue Agave. Mezcal and tequila have different production processes which greatly influence the taste of the final product. These three main differences between tequila and mezcal can also be found in his blog post: Tequila vs. Mezcal. The book continues to cover mezcal production, the use of different agave varietals, and key differences with other distillates like Sotol, Raicilla, and Bacanora. It’s a lot of content to cover in 200 pages, but Mezcal PhD manages to balance the depth of information nicely with a good amount of personal commentary. Pictures and diagrams are included in most of the more complex topics. For example, his illustrations of how stills work helps to simplify the art of distillation for readers who may not have experience in this area. My favorite of all of his diagrams is the Agave Bell Curve. You don’t need an MBA to know that it’s not actually a bell curve, but it’s a clever way to map the flavor differences in mezcal made from different agave. The Agave Bell Curve showing that 99.7% of agave lie within three standard deviations of agave Espadin. 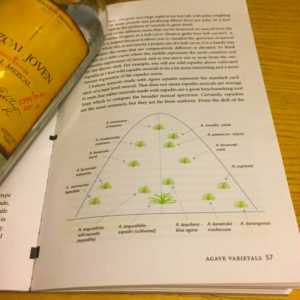 I’m a visual person, so the images and diagrams helped a great deal in understanding the concepts, especially when I first became interested in mezcal. I was also drinking mezcal while I read most of this book…and who doesn’t love pictures while they’re drinking! Overall, the combination of John’s humor and his ability to create compelling narratives around the basics of Mezcal, make this book an essential read for anyone interested in learning more about the smoky spirit that is quickly gaining popularity across the globe. It’s a quick read with good insight and thoughtful passages that will keep you flipping back through pages to find highlighted excerpts and dog-eared diagrams long after you’ve finished the book.